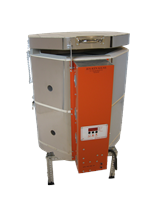 The ProFusion 52: The largest kiln in our fiber lineup. 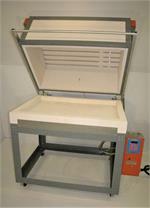 26x52x14", rigid fiber, optional fiber shelves, clam-shell style, stand with casters, Orton AutoFire 3000 Controller, Quartz encased elements, and Jen-Ken Quality. 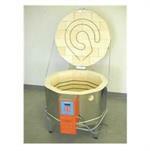 Price: Call to order for $555.00! 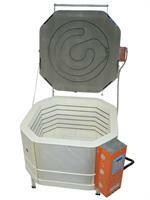 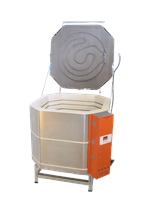 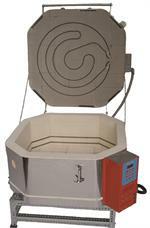 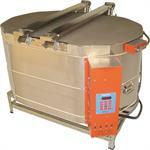 A fantastic multi-purpose kiln! 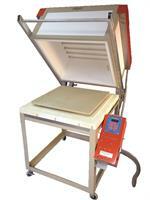 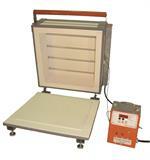 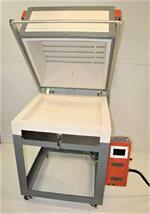 Large front door for easy enameling, 9x9x9" interior with front and top loading options. 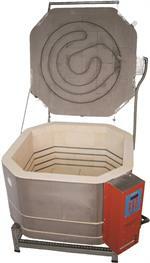 Enamel, fuse glass, fire PMC, and MORE! 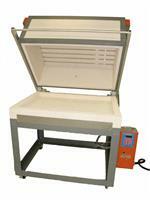 208 or 240 volts, please specify Max Amp Draw: 45 amps Max Watt Draw: 10,800 watts Max Temperature: Glass Mode: 1700°F Ceramic Mode: 2300°F Comes with shelf, posts, kiln wash,metal stand. 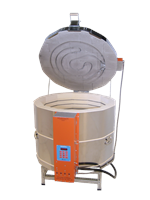 208 or 240 volts, please specify Max Amp Draw: 36amps Max Watt Draw: 8640 watts Max Temperature: Glass Mode: 1700°F Ceramic Mode: 2300°F Comes with shelf, posts, kiln wash,metal stand.